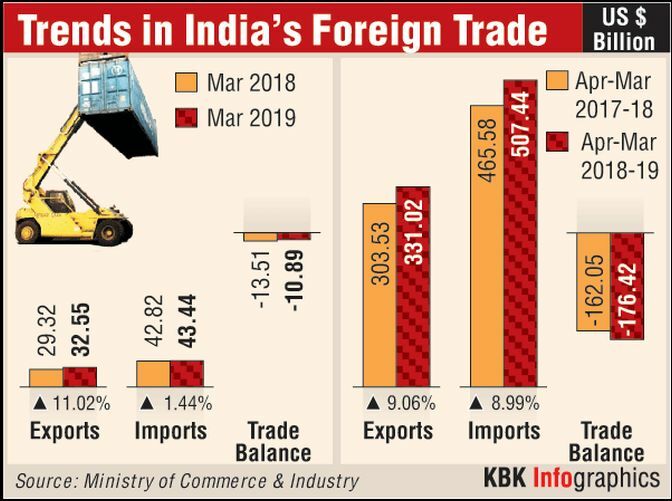 India's exports rose to a five-month high of 11 per cent in March on account of higher growth mainly in pharma, chemicals and engineering sectors, marking the outbound shipments at $331 billion for FY 2018-19, official data showed on Monday. 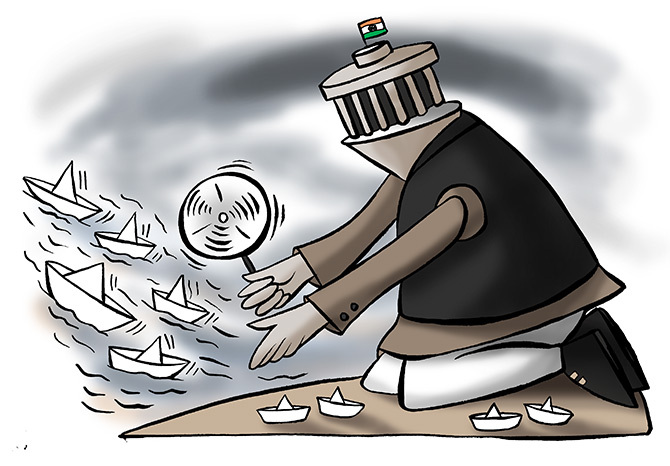 "We demand for immediate support like augmenting flow of credit, higher tax deduction for R&D, outright exemption from GST, interest equalisation support to agri exports, benefits on sales to foreign tourists to further boost exports," Gupta said. However, as the data showed services exports in February 2019 dipped by 6.54 per cent to $16.58 billion. 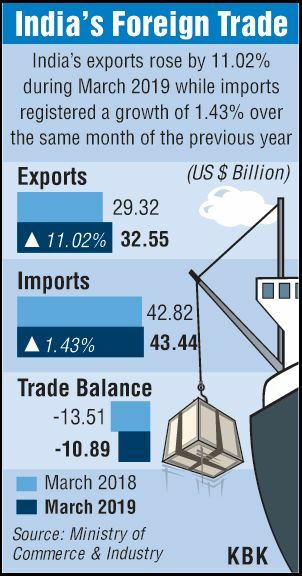 Imports during the month too contracted by 11 per cent to $ 9.81 billion.